For more than 20 years. there has been an ongoing debate about the impact of the four Snake River dams on the Pacific Northwest’s salmon population. Since the 1970s, billions of dollars have been spent to upgrade the dams and to improve salmon habitat. The results? According to the Bonneville Power Administration (BPA), the average number of returning salmon and steelhead are more than double what they were when counts first began when the Bonneville Dam started operations in 1938. Despite this clear evidence that dams and fish can coexist, the debate continues. Likewise, a state-funded study on the impacts of dam breaching as proposed by the Southern Resident Orca Task Force is an unnecessary duplication of efforts already underway by the federal agencies responsible for the Columbia River Systems Operations Environmental Impact Statement. That EIS is a regional, comprehensive study to evaluate a range of operations alternatives for the 14 federal hydropower facilities located along the Columbia and Snake rivers. All Northwest states and tribes are participating in this process, which includes a comprehensive evaluation of the four lower Snake River dams as well as economic impact analysis and stakeholder input. A state-level effort would not be as comprehensive, nor would it result in a product that can be relied upon for future decisions about the dams. Simply put, the proposed study would not be a good use of $750,000 in Washington state taxpayers’ money. National Oceanic and Atmospheric Administration (NOAA) Fisheries, the agency with the expertise and responsibility for the recovery of the Southern Resident orcas, has assessed the four lower Snake River dams and their effects on listed salmon and steelhead in the 2008 Biological Opinion and again in 2014. Neither study concluded that breaching the dams is necessary for recovery of the Snake River salmon or Southern Resident orcas. NOAA determined the hatchery production of salmon and steelhead in the Columbia and Snake River systems more than offsets any losses of salmon caused by the dams. Investments in salmon restoration have included a complete overhaul of the federal dams. The Columbia and Snake River dams have been retrofitted with state-of-the-art fish passage technologies that are helping young fish migrate safely and swiftly, with survival rates for spring salmonids averaging 96 percent past each dam, BPA stated in January. Moreover, Oregon State University and U.S. Geological Survey researchers have determined that fish survival rates through the Columbia-Snake river system are similar to those seen in British Columbia’s undammed Fraser River. Ironically, at the same time there is a push for the Washington state Legislature to fund this study on the impacts of removing the dams, there are also several bills to push for carbon reduction. If the goal in Washington is to reduce carbon, the existing clean hydropower resources play an essential role in keeping our air clean. These dams generate some of the cheapest, most reliable, carbon-free electricity in the Pacific Northwest. BPA markets power from 31 federal dams along the Columbia and Snake rivers and their tributaries. Of these dams, only 10 are able to quickly change how much power they are generating in order to maintain a constant balance between power production and energy use. This capability is essential for the power grid to accommodate intermittent renewable energy generation, such as wind and solar power. The four lower Snake River dams are among those 10 more flexible dams. Because of their location, size and ability to help meet peak power loads, these dams are a critical component for transmission grid reliability. They are necessary to ensure the lights are on, every minute, every day. If the dams were to be removed, their on-demand grid balancing capabilities would need to be replaced, most likely with carbon-emitting natural gas plants. In addition to reliable, low-cost, carbon-free hydropower, the Snake River dams have other key attributes. 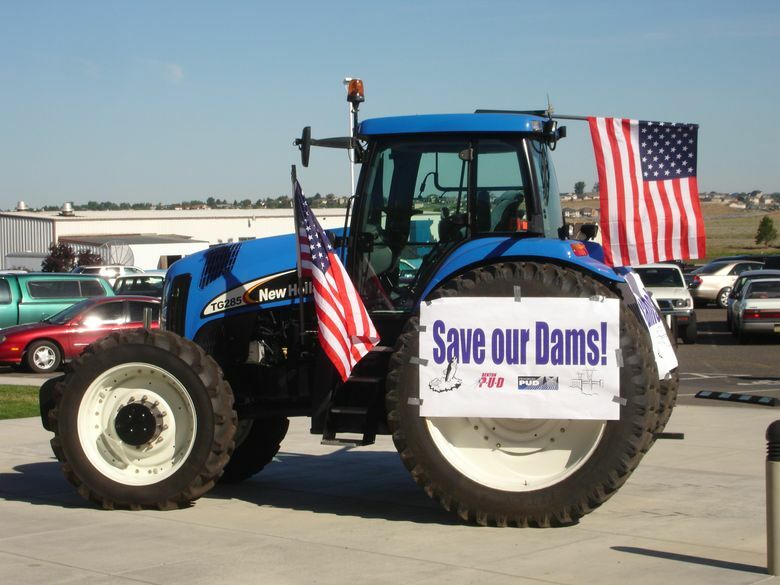 The dams create a river highway for shipping, provide recreational and tourism opportunities, and enable irrigation for some of the most productive agricultural land in the country. The Tri-City region has always strongly supported robust salmon recovery efforts, including improvements to hydro, habitat, harvest and hatchery programs, and we will continue to support them in the future. The state funding a study that focuses on the Snake River dams, and one that is redundant of exhaustive federal efforts, however, serves only to shift the focus away from actions that will truly help the iconic southern resident orcas. Don Britain is mayor of Kennewick; Matt Wakins is mayor of Pasco; Robert Thompson is mayor of Richland; and Brent Gerry is mayor of West Richland.